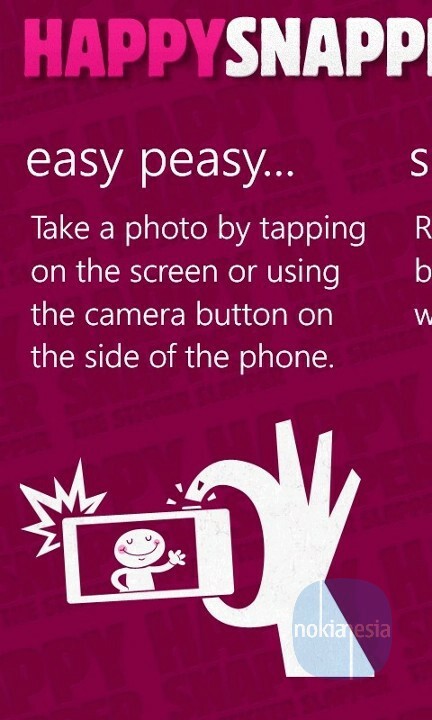 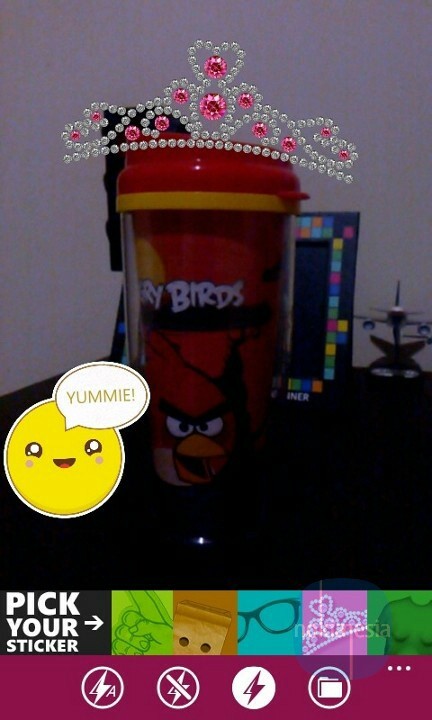 "Happy Snapper" is a free and fun application that allow you to add some "real time" stickers to your Nokia Lumia camera. 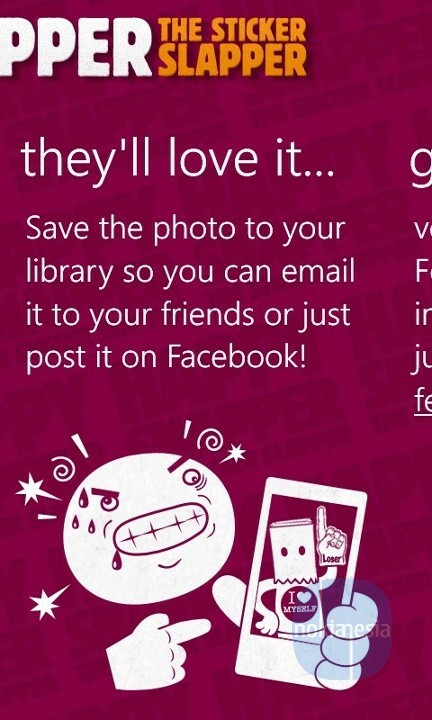 Simply take a picture from your Nokia Lumia, add some stickers, snap the stickers to the objects, capture the picture and then share your fun picture to your friend via Facebook or just save it to your Collection.
" 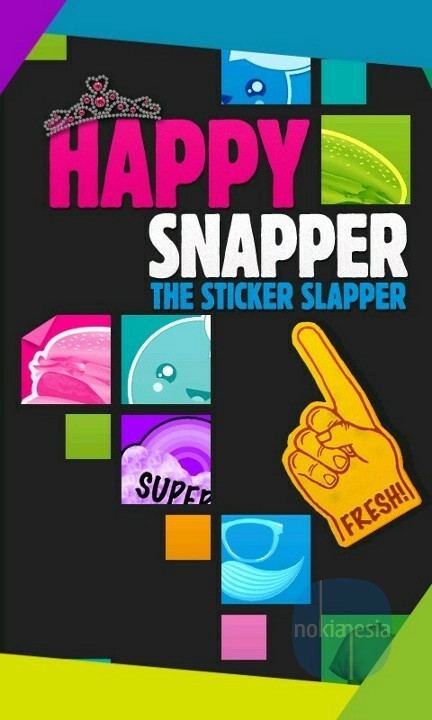 HAPPY SNAPPER is the perfect app to make fun of your friends, yourself or just about anything. 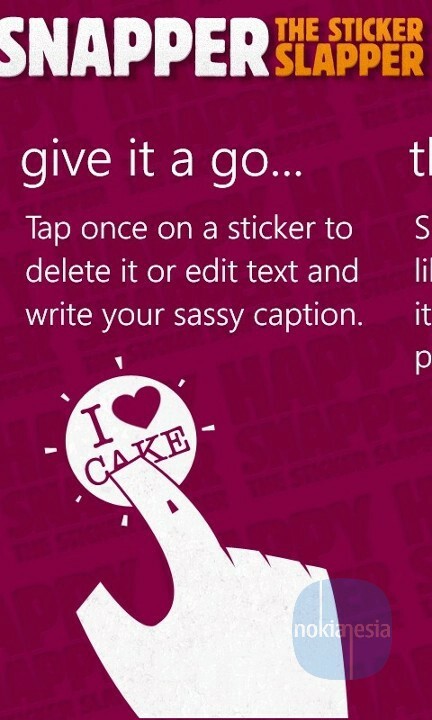 Take a picture, choose from a juicy selection of editable stickers, then slap a sticker on it with your own hilarious message. 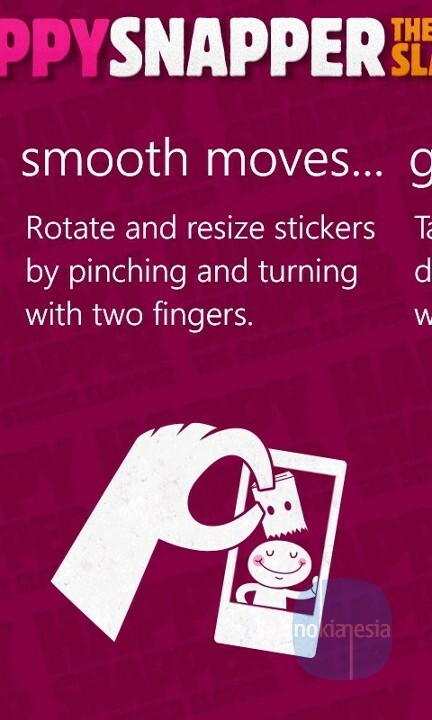 Call someone a "joker", tell someone "you smell", or if you’re that way inclined – tell them "I love you". 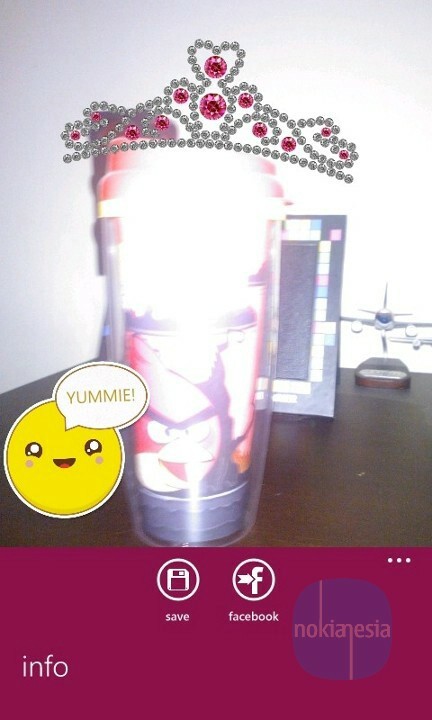 Your imagination and creativity is the only thing that limits the fun you can have with this app. "